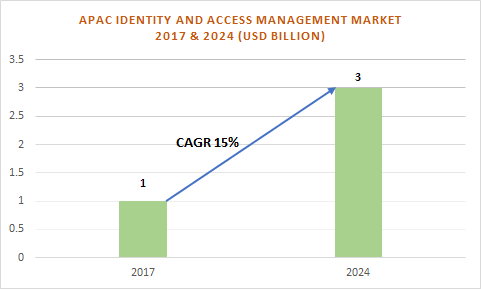 Asia Pacific Identity and Access Management (IAM) Market revenue in 2017 was evaluated to be more than USD 1 billion and is projected to grow at a CAGR of over 15% by 2024. The market is driven by the increasing number of cyberattacks and a rising demand for cybersecurity products & solutions, mainly from developing economies in this region. A rise in the demand for a remote workforce and mobility coupled with the adoption of cloud computing, IoT, and BYOD also drives the market. The growth of enterprise mobility also results in reduced visibility & control of the enterprise IT staff over the daily work practices of employees. Therefore, the adoption of a centrally management comprehensive IAM solutions will assist the company in getting the required visibility & control over a distributed workforce. The rising advent of social media in this region also has IAM risks associated with it. Companies use social media platforms to communicate with their customers and increase brand awareness. However, regulatory, compliance, legal, public relations, and operational issues are the major social media risks, which can result in of the loss of customers and in the reduction of market revenue. Therefore, it is necessary for social media solution & service suppliers to adopt IAM solutions, thereby protecting the users’ accounts from being compromised. 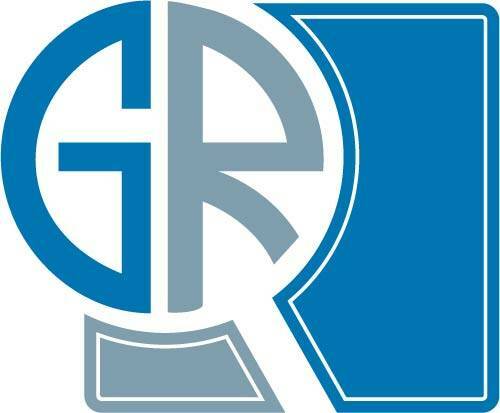 The directory service is expected to grow at a CAGR of over 14% over the forecast period. The directory service functions as a single point allowing users to locate information, services, and resources distributed throughout the network. It assists in improving the overall efficiency of organizations by automatically enforcing security policies, securing complex approval workflows, and avoiding redundant user accounts, driving their adoption in the Asia Pacific IAM market. China is leading the Asia Pacific IAM market with a market share of over 29% in 2017. The Chinese government is making huge investments in IoT and cloud computing contributing to market growth. In September 2018, China planned to invest USD 15 billion in cloud computing and big data, which will have a positive impact on market demand. Companies are also extending their offerings in this region to meet the growing customer demand. For instance, in May 2017, Gigya, a leading customer identity management provider opened a new data center in China for assisting customers to comply with new cybersecurity regulations effective from June 2017. This new data center will help its clients manage all the personal data gathered from Chinese citizens delivering scalable, compliant, and secured IAM solutions. The key players functioning in this market include Infosys, HCL Technologies, Happiest Minds, Isprint, Ping Identity, CA Technologies, IBM Corporation, Okta, Oracle Corporation, and Microsoft Corporation. These players are entering into strategic partnerships and collaborations to expand their presence in the lucrative market and gain a larger customer base.